Amazon, a billion dollar American company does not require any introduction in the field of eCommerce industry and is way ahead from its competitors. 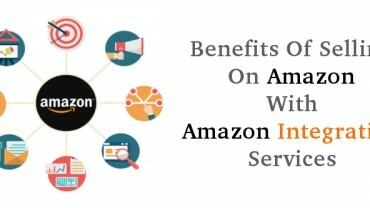 Due to its huge global customer base and brand identity, numerous store owners are trying to integrate their eCommerce business with Amazon through Amazon Integration process. 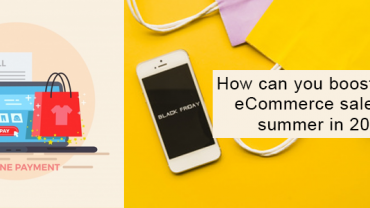 This eCommerce giant is offering its marketplace services for external vendors that can effortlessly advertise their products on this store for improving their sales and conversion rates. In order to accomplish this task, you need to first register yourself on Amazon Seller Central page. Get your seller registered on this Amazon Seller Central account to facilitate the crucial task of Amazon integration. In order to initiate the product selling process on Amazon store, you need to register yourself on the Amazon Seller Central page if you have not registered before. You just have to fill the simple information that is asked on the registration form as shown in the screenshot below. Once, you have filled the required fields, it is time to click on the checkbox below and finally click on the “Submit” button to complete the registration process. Get started on Amazon MWS page by filling out the required account credentials. 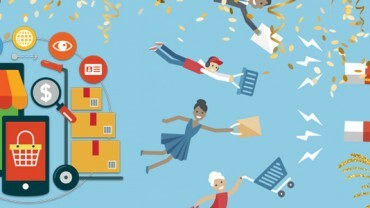 Once, you have successfully registered as a seller on the Amazon Seller Central Page, it is time to use the Amazon Marketplace Web Service (Amazon MWS), an integrated web service API that ensures seamless exchange of data such as product listings, payments, reports and much more among Amazon sellers and marketplace store. In order to improve your chances of business growth, product sales, labor requirements for store maintenance and faster response time, you need to integrate site data with Amazon through the use of Amazon MWS. Amazingly, there is no fee that is attached with Amazon MWS but seller need to be registered on a Amazon MWS seller account for using the required API credentials. 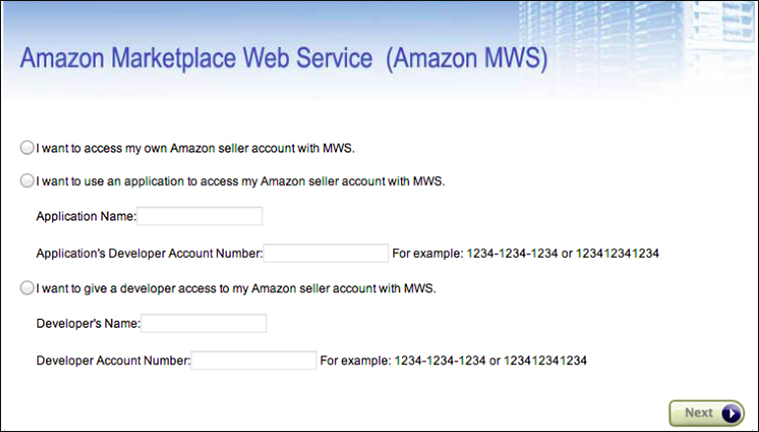 Once you have registered, sellers will receive the following elements under the Amazon MWS (Marketplace Web Service) credentials which are explained below. A Developer Account Identifier which is a 12 digit identifier such as 1234- 3214- 5632. AWS Access Key ID in the form of a 20 character alphanumeric identifier code like 022QFG0ABGDJHK76RDHM. Secret Key comprising of a 40 character identifier such as kWcrldDFAMPLEM/LtmEENI/aVmYvHNif5zB+d9+ct. Use the seller’s account credentials for accessing your Amazon Seller account through the help of MWS. This Access Key ID Mentioned above is linked to your Amazon MWS registration. It is recommended to include Access ID in your every Amazon MWS requests for proper identification of your seller requests. Apart from this, you are advised to add digital signature in your requests for effective authorization and security. Once the signature calculated by Amazon matches with the sender’s signature, the authentication process is said to be success. Otherwise, the request fails and the authentication process is not processed further. 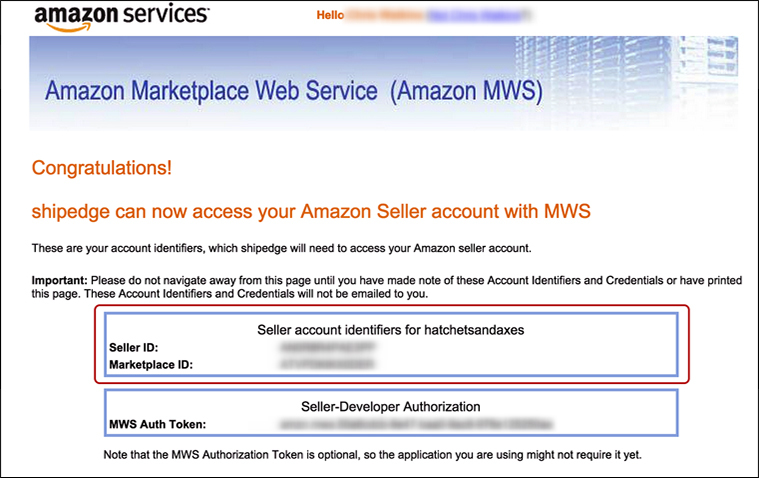 On the final page of Amazon MWS registration process, you can view your Seller ID, Marketplace ID and MWS Authorization Token. How to go for product listing on Amazon? In order to start selling your product on Amazon marketplace, you need to first ensure that your products are effectively listed. This product listing can be done in two ways- Manually by using API credentials or by importing the required files. In order to list your products manually, you need to follow the following steps. Search the desired item which you want to sell. Provide information about the condition of your product item. Add price and register in order to collect online payment from your buyer. Choose a required shipping method. Select the number of quantity and SKU (Stock keeping unit). Leaky bucket problem- In this problem, the product which is available in the CRON list of Amazon account is processed first and the rest are added in the queue. So, if your product listing request is after the selected batch of products, you may have to wait for a particular time period once all the above requests are fully processed. Throttling problem- For stopping Amazon sellers in flooding with product listing requests, the number of product requests made by a seller is limited. Due to this, a seller is capable to send only allowed requests on the Amazon MWS. The product feed is a file that is made up of list of various products and attributes that are required for organizing, displaying, advertising a particular product on a store. 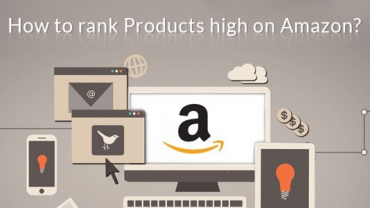 For promoting your product effectively and to increase product sales on Amazon Marketplace, sellers have to follow the simple five steps to add the required product feed on Amazon. Product Feed- In this feed, seller have to add the various attributes like Merchant Identifier, condition type, title, data description, product type, variation theme, operation type, Amazon standard ID, SKU Number, UPC product bar code and other such components. Image Feed- With the help of this, seller can add the desired product image with their product by sending the image URL on Amazon server for image uploading. You need to save the path or location of your product image on your local machine first and then send the URL to Amazon afterwards. Every product image is linked to the unique SKU number. Inventory Feed- It asks the following information from seller- product quantity and the inventory status if it is merchant fulfilled or Amazon fulfilled. Special price addition where the required price is applicable for a particular start date and end date. Relationship Feed- Here, parent- child relationship is established between the various product variants to specify various product color or product size on the store. With the help of this feed, you can effortlessly describe the various variations in your product. By implementing all these steps, sellers can seamlessly add products for selling purposes on Amazon marketplace. How to get seamless orders through Amazon? Once, you have set up your seller account on Amazon, you need to ensure that you are receiving continuous orders through Amazon for improving your product sales and conversion rates. For getting continuous order for your business, you need to make use of two approaches. List order CRON- It is used for providing required order details such as size, color, shipping services and other such information. List order item- With this, you can decide the number of items for a particular product that is to be added on the Amazon store. By fulfilling these requirements, Amazon is informed about the particular product and a tracking ID is provided to customers for keeping track of their ordered products. Sellers can use the shipment services of Amazon or can use its own shipping services for ensuring the timely product delivery. Amazon consists of a Amazon health service that checks the performance of your shipping services in terms of percentage and marks it as Good, average or bad. If your store performance comes below the bad level on Amazon health, you will be blocked as a seller for a particular time period and would not be able to receive any product orders. In order to manage your store properly, sellers can decide to maintain their store all by themselves through FBM (Fulfillment by Merchant) or can also allow Amazon to manage your store by FBA (Fulfillment by Amazon). Merchant Fulfillment- In this process, stock is entirely managed by the merchant itself and required credentials are provided to Amazon. Amazon Fulfillment- It is fully managed by Amazon and all the other required credentials are handled by Amazon itself. Many store owners are using this method as it saves their store maintenance time and provides a sense of confidence among customers. However, it does come with a yearly charge and customers are asked to send their product inventory for effective store management. Buy box feature of Amazon increases the chances of your product sales by featuring your product on the top of product listing page. Amazon offers an engaging CTA button on its product image for getting instant customer attention in order to get better sales. Once, you have been selected by Amazon as the ultimate seller on the product page, “Add to cart” button is made available on your product and there are higher chances of your featured product being sold. Usually, the seller with the minimum product price are selected for the buy box feature but there are several other factors involved. In order to win the “buy box” ownership for your product, you need to pay attention towards the following factors. Fulfillment method used by seller (Amazon fulfilled is given more preference than merchant fulfilled). Shipping delivery services (Use Amazon shipping methods for getting better customer attention). Feedback about your featured product. Number of defects appearing on your product. Cancellation rate of seller and much more. If you have been struggling with your product sales, it is time to avail the Amazon integration and sales improvement services by our company, Velocity. With our years of professional expertise, talent pool of experienced work force, customer focused services, affordable price along with timely service delivery, you can easily improve the product sales and conversion rates for your eCommerce store. Helping sellers with registration on Amazon Seller Central page. Setting up of Amazon MWS account through required credentials. Helps in product listing for adding products on Amazon marketplace store for getting more sales and conversions. Facility of adding product feed for store owners in order to boost product sales. Provides expertise of integrating your eCommerce store with the Amazon marketplace. Enhances your chances of making product sales and conversions. Improves the visibility and brand awareness about your online store and its available products. Opens up new mediums of making product sales by adding your products on this Amazon marketplace store.